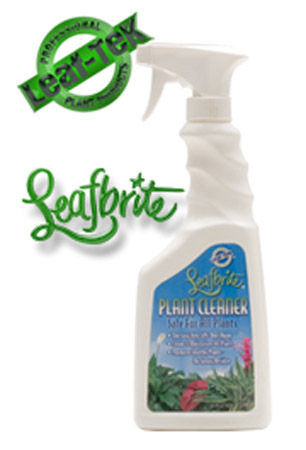 Leaf-Tek Pro RTU is formulated to remove dirt and dust from plants using safe and odorless surfactants, that are non-toxic and biodegradable, to loosen dirt and dust and allow it to float off the leaf surface of the leaf. In a handy Ready-to-use 16 Oz. trigger sprayer.